Given the code upgrade is completed in LCS, a process that shouldn't take many hours, and the Development VM is published, you can connect the local PackageLocalDirectory to the branch folder holding the "release". Open Visual Studio, Connect to the Azure DevOps (VSTS) account and the right project, and then map your workspace to the "release". Notice I point the Metadata folder under the release to my local PackageLocalDirectory. Let's have a quick look at the result from the Code Upgrade process. Like I wrote in the first post, the upgrade removes Microsoft hotfixes, but keeps any other custom packages and modules. Put another way, the code upgrade will first copy your source metadata, then remove Microsofts modules, and it will sort of look a little bit like this. 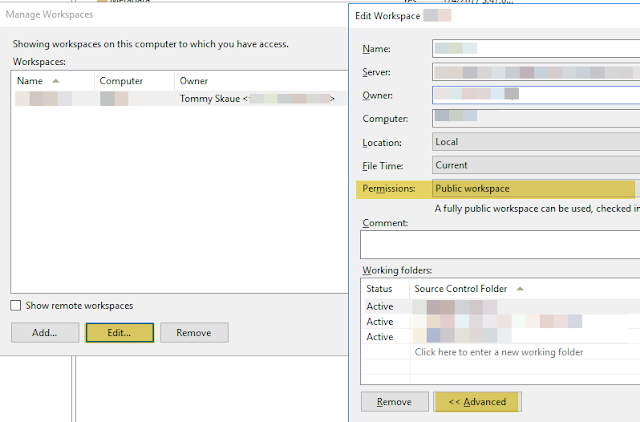 If you were to take one of your existing development VMs and connect to the "release" branch folder and run a "Get Latest", the exact same steps would happen on your machine; you would see all the Microsoft Standard Module files be deleted under your PackageLocalDirectory. DON'T DO IT! You may wonder why that doesn't happen on the new development VM. Well, since the Workspace you have just created on the new VM was created after the cleanup of the upgraded branch, nothing gets deleted locally when you run "Get Latest" on the new "release" branch folder. So next you basically will have to make sure your application builds and works as expected - before you can continue. EDIT: I would recommend using this opportunity to look at the update tiles on this Development environment, and then take the updates of standard now. This process will create a "Platform and application binary package" (also referred to as "plat+app"). Install this update on the Development environment now, and plan on using this same update package through out the process, on the build environment and the sandbox, all the way to production. The exception is if you find that you need to take a new and even more up-to-date package. This package will contain both platform updates AND application updates. When you install it on the Development environment, you will get the latest source code on the box as well. Assuming you Exported the database from the sandbox using LCS, you can download the bacpac directly from the project asset library. Currently there is no solution in LCS to Import a database, but there is a guide on docs for the steps involved importing a bacpac manually. Using D365fo.tools below, you can do the same manual import with ease. Just skip the download part of my original post below, but execute the Import part. When you application is 8.+, you can go ahead and get the 7.x database and upgrade it on this development environment. This process should reveal any possible technical issues of sorts. Let's first download the database to the VM from the cloud storage mentioned on post 2. 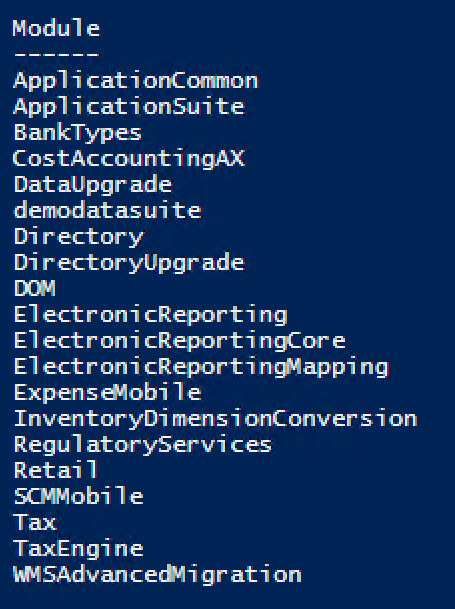 You can either use Microsoft Azure Explorer or use the community driven PowerShell library d365fo.tools, like this. [EDIT]: After downloading the bacpac from the Project Asset Library, you can start the import steps below. The script above does several things, like importing the bacpac and replacing the existing AxDB with the imported database. The whole process may take quite some time, because the bacpac import is a slow process. Also, the actual mdf and ldf file for the AxDB will have a date and timestamp, making it unique for each time you import - if you need to do it more than once. When the database is imported, you will need to head back to LCS and apply the Software Deployable Package created by Microsoft specifically for doing the DataUpgrade. This process will also take some time, but at the end of it, you will have an upgraded database. 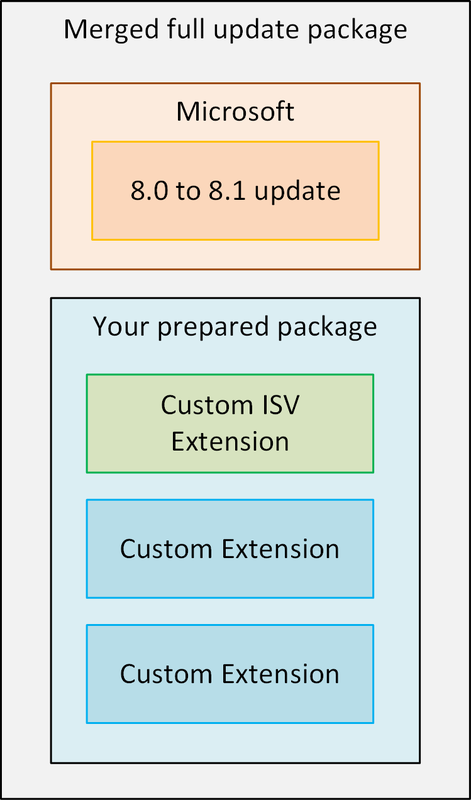 The package is named DataUpgrade-8-1 and if you look at its description, it is one single package that upgrades the database from any previous 7.x version to 8.1. In the next post, I will show one possible way to prepare your new build for 8+, which is a necessity before you can continue with updating your Sandbox and later your Production. Choose the version closest to the target version you are aiming for. You will need to deploy new environments. There is no "in-place" upgrade of your existing environments. The new environments will be on the version you are upgrading to. Fortunately, deploying new environments is easy to do through Lifecycle Services (LCS). 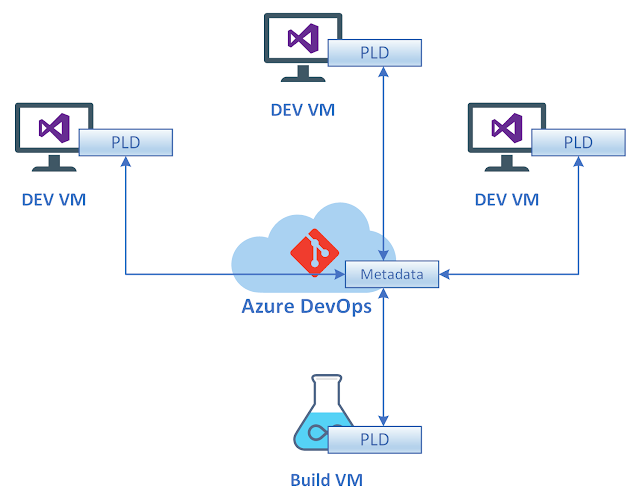 You will need a decent Development VM to connect to the upgraded metadata, and check the code for any issues. I typically go for a DS13v2 which has local SSD. I normally give it 14 disks of size 48GB, which will all be striped for maximum throughput. This has served me well so far. I don't chose premium storage, but go for standard storage. There are probably lots of preference out there, and I'm more than willing to learn from the community what they recommend. 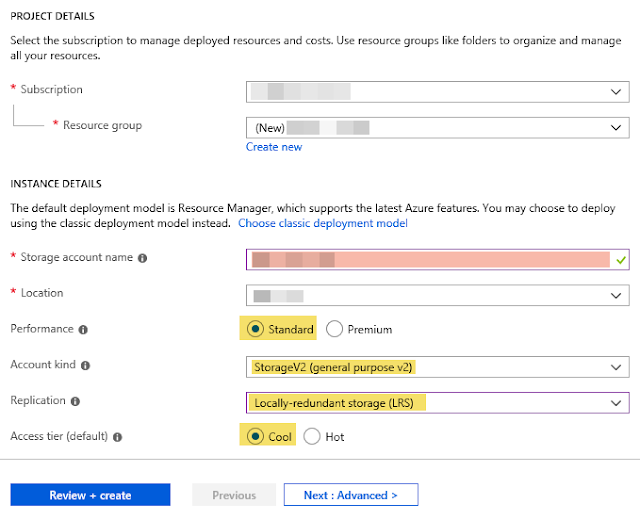 Make sure the VM is hosted on your own (or customers) Azure Subscription. This way you are guaranteed to get local admin user. Also make sure the topology is Development. Pick an empty database, as you won't need that Contoso data for what we're about to do. You can simply Export the database through LCS portal. LCS will create a bacpac of the sandbox database and save it in the project Asset Library. You should consider Refresh the sandbox with a fresh copy of the Production database. All of these steps are now easily done directly in the LCS portal. While the Development VM is deploying, here's another neat thing you can do, if you haven't already done so. Setup a cloud Storage Account in the Azure Subscription. It can be a cheap Standard Storage (general purpose v2) type, with only Local Redundancy, on a Cold Tier - nothing fancy. Create yourself a blob storage where you can put the database which you will get from your source environment. 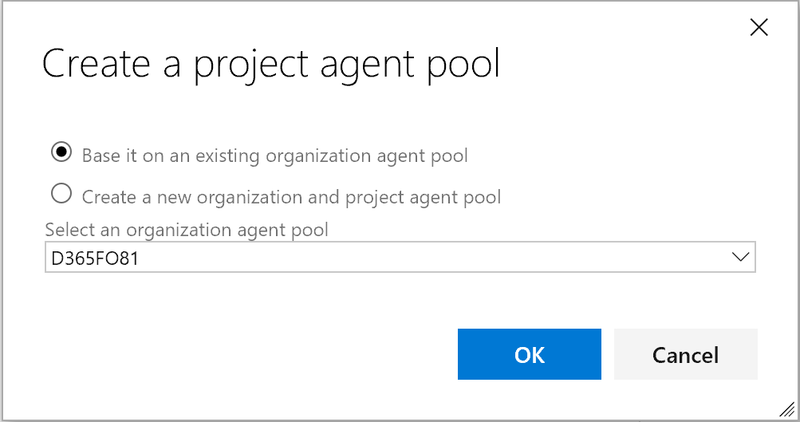 If you haven't done this in Azure Portal before, let this be your first time. Things to consider; the Storage Account name must be unique (for that specific Azure Region). But you're a good citizen, and always used a good naming practice, right? 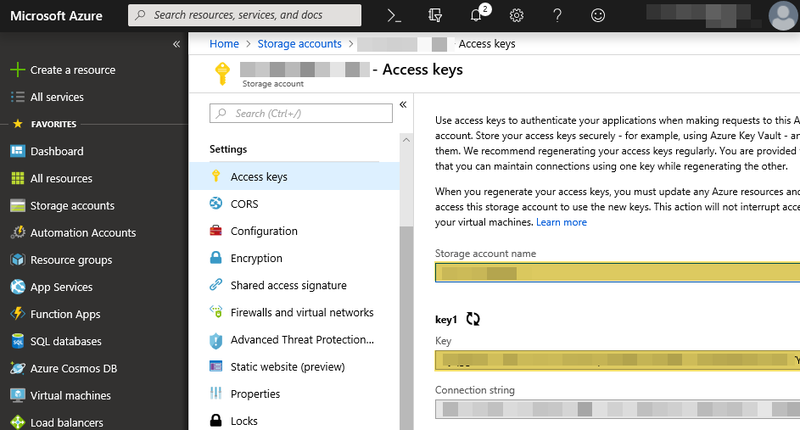 The Access Key (which is found on the Azure Blade - look for the yellow key icon). When you have the storage account ready, I bet the deploying of the Development VM is still spinning, so let's prepare a backup of the source database. We will use it to validate the upgrade. This is just a test, to make sure the upgrade experience will be smooth. Head over to your Sandbox (Tier2) AOS, and extract the database from there. If you want to test on a fresh copy from Production, you will have to get Microsoft to do a Database Refresh first. But let's assume the one on the Sandbox is fresh enough. 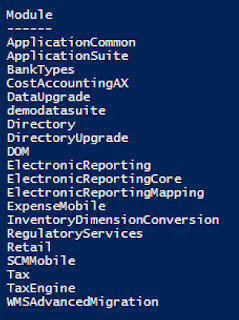 The possibly quickest and easiest way to get the database extracted, at the point of writing, and while we are waiting on Microsoft to get the tooling in place in LCS, is to use the community driven D365FO.tools PowerShell Library. Install the library on the AOS server using the following command. You'll have to click "Yes" and "Yes to all" on any questions. Then run the following to extract the database. It basically prepares a bacpac where all the post-SQL are run, and saves it do the D-drive. Then using the cloud storage you've hopefully prepared, lets upload the bacpac to the cloud. We will later download it to the development VM. The database extract in form of a bacpac now awaits in the cloud storage, and when the development VM is ready, you can use the same PowerShell Library to download it and install it on your development VM. But first, you need to make sure the application actually builds. I will address that in the next post. The details for this upgrade is already very much detailed already on docs, so this article is just "another" way of taking you through the steps. I will focus on the simplest example possible. I know "your miles may vary" if you have a more complex environment you need to upgrade. Things like over-layered code, dependencies to other systems through integrations, or your solution has third party solutions added, which may not be ready for upgrade. But let's assume for the sake of simplicity that you're on 7.x without any over-layering and you want to get on version 8 with as little fuzz as possible. In fact, if you do not have any over-layered code, and all extensions are compatible with 8+, this part will take less time than it will take you reading the post. 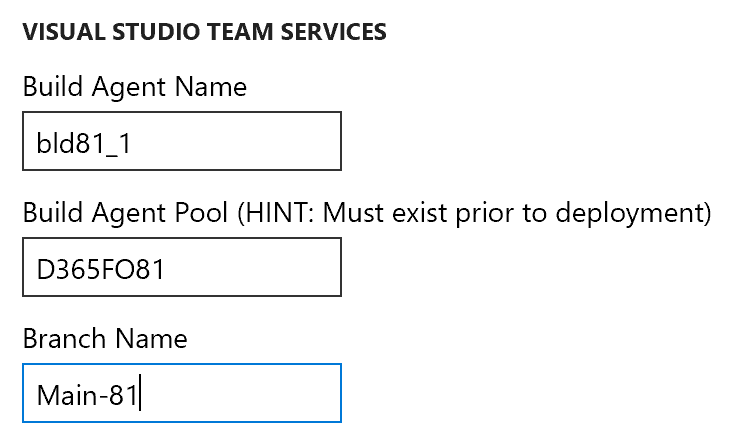 Before you begin the code upgrade, you need to make sure a "magic" file is created on your repository in Azure DevOps. The file is not created by any other process (I know of). 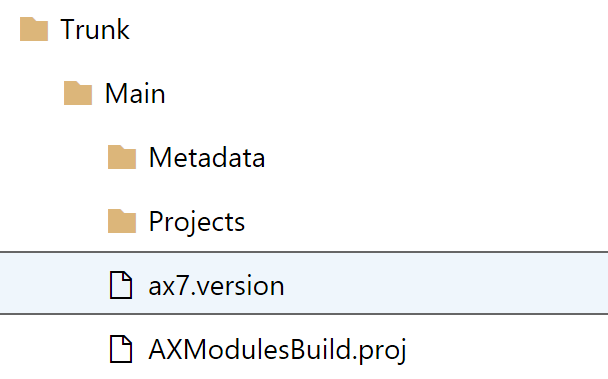 The file holds the value of the version you are upgrading from, and it needs to be named "ax7.version" and must sit in the Trunk/Main folder. There are a couple of ways to get the file created, but one very simple and pragmatic way is to simply create the file in the repository through the browser. 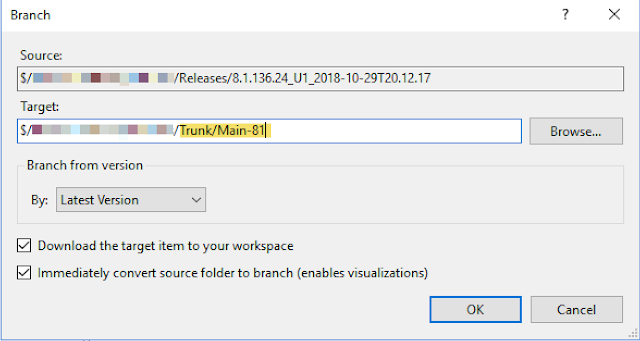 Open the repository and navigate to Trunk/Main and create a new file directly. In the example below I am upgrading from 7.3. The file should be placed on the same level as the Metadata-folder. When the file is created, you can go ahead and run the code upgrade in LCS. The code upgrade tool does a couple of things. You will get some reports and information of what the process discovers of work to do, based off whatever you have in your Trunk/Main. But the important thing it does, is it will create a new folder in your repository, and this folder will contain the upgraded version of your code. That is right; it copies whatever is in Trunk/Main, puts it into another folder, and does a couple of additional things, like removing all the hotfixes you may have previously added to Trunk/Main. Why? Because you're going to a new version, and those old hotfixes either already exists in the target version, or you will need to reapply them using updates created specifically for the version you are going to. In fact, if you run the Code Upgrade process again and again and again, you will end up with as many copies as you run the tool. Don't worry, you're permitted to delete copies you do not want to keep. Oh, and the copy (or copies) are also marked as a branch from Trunk/Main. 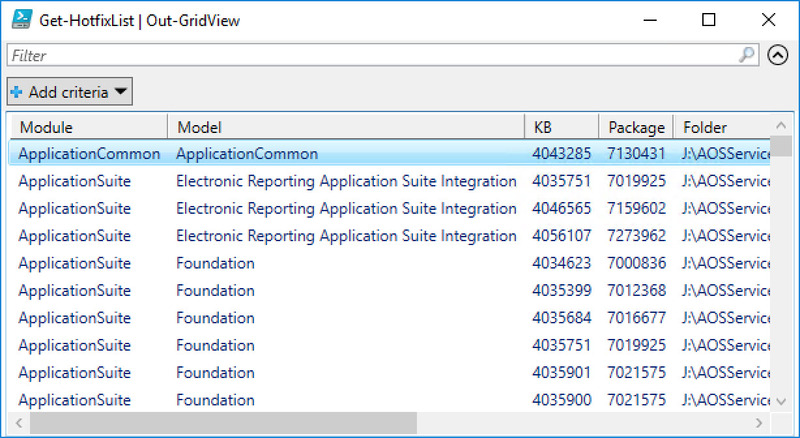 You can see this of you check the folder Properties from either the Releases or from Trunk/Main. Do you really need to run the code upgrade? Well, you could create a 8+ branch yourself and merge in the modules you're keeping to your 8+ branch, and then try build and resolve any issues. But consider that the code upgrade tool does that for you, gives you some details on what it finds. You don't have to do much beyond the steps out lined above. Time saved, and cost saved. Actually, while LCS analyzes your code, you can start on the next step in the process, and I will talk about those in the next post. 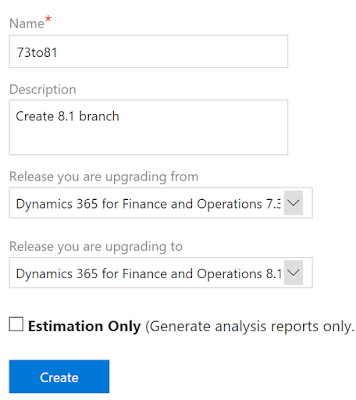 When you deploy and environment of Dynamics 365 for Finance and Operations, you are asked to pick a version of the application along with the platform version. 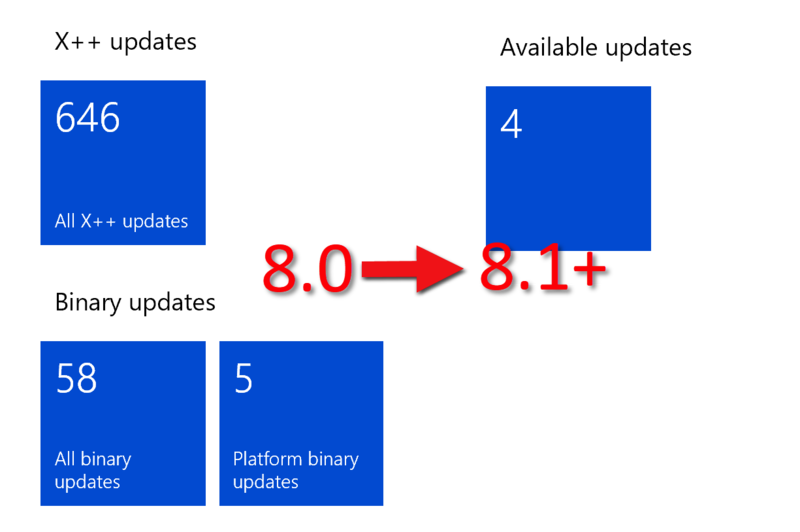 At the point of writing, the latest application version is 8.0 and platform version is 18. We know application version 8.0 and onwards to not allow for any overlayering of standard code. We also know that version 7.3 (the version prior to 8.0) allows overlayering. If you choose to publish 7.3, you will get the application is it was in December 2017, and you will have to go through the process of applying a fair number of hotfixes to get your application updated. In this post I will address this process. It is fairly well documented on docs, but I suppose it helps to read it from various sources. This post focus on the minimum effort needed to get updated. 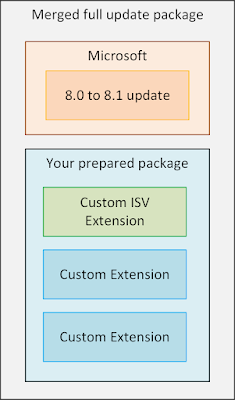 Depending on your scenario, it might be more complicated, if you for example have customizations, including extensions. Before you leave this page, I should tell you there is a bonus part at the end of it. This part can actually be done by a non-developer. It is fairly easy to complete, and should be safe. I start with updating a DEV environment, assuming it is aligned to the remaining environments (STAGE, PROD) when considering updates. From the environment page in LCS, I can tell there are lots of updates waiting to be installed. I start by opening All Binary updates. Notice they are all already marked for download. You can't cherry pick these updates, you get them all. 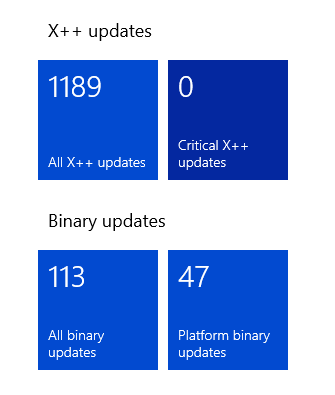 I could take only the platform updates instead, but I want everything updated, hence "All Binary updates". When you continue, notice that you do not actually download the update, rather it is saved back to asset library. This may take a while, as the entire thing is a couple of GB in total. Allow Asset Library analyze the package before you continue. When the package is ready, you can go ahead and run "Maintain" and "Apply Updates" form the environment page. 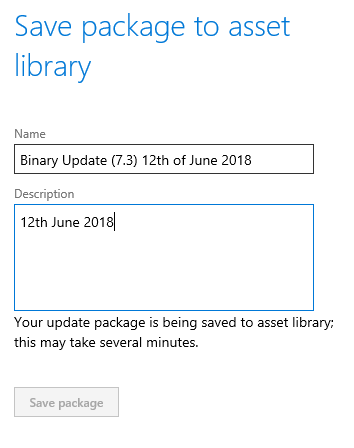 Pick the Binary Update package and allow for the Runbook to install it. NOTE! This process will seed the package to your environment. Make sure you have enough space available on your Service Volume. 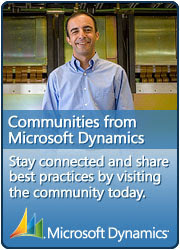 You also want to make sure nobody is running Visual Studio on the machine while it is serviced. If your VM runs with standard disks (HDD) instead of premium storage (SSD), then the copying of files may time out. If that happens, just press the "Resume" button on the environment page. You might also notice that the machine even reboots as part of the process. 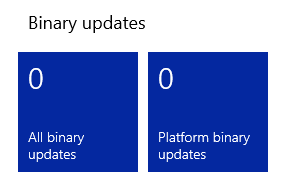 After the Binary Updates are installed, the tiles should hopefully report this. The next process is a bit more technical and needs the attention of someone with a developer role. Start by opening the Application Updates, not just the Critical Updates, but all of them. You will click "Select all" and press "Add". This will mark all of them for download. Since I had over one thousand KBs, it took several seconds for LCS to create the download, so I simply had to wait for it to be sent to the browser for download. It is not a big file. In my example all updates were around 80MB. Tip! Did you know the file is actually a compressed file using zip? If you change the file extension to zip and unpack it, you will see all the packages and a manifest defining any dependencies between them. If you even take one of the single packages out, change the file extension to zip, you can get the details of that package. 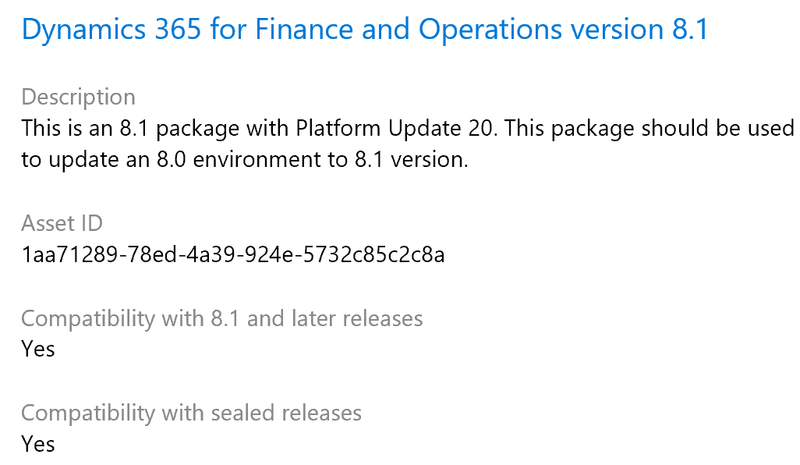 What files will be changed and how elements will be changed, and also what KB numbers are covered by that package. Now, here comes the tricky part. While it is possible to apply this package through Visual Studio, I have found it safer to do the next part using command line util (SCDPBundleInstall.exe). Furthermore, I also ensure that there are no service or application potentially locking any files in the Package Local Directory. That means, no Visual Studio running, no IIS running and no Dynamics Ax Batch running. Have a look at the script I have shared at the end of this article. Prepare. This process analyze the content of the package and makes sure all files which will be changed in the Package Local Directory are put in source control (VSTS). 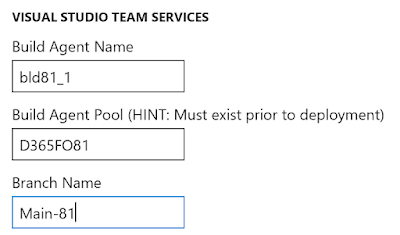 That means add and edit commands, ensuring we can put them into VSTS if we mess up and need to go back to how things were before installing the updates. Install. This process analyze the content of the package and actually change files in the Package Local Directory. 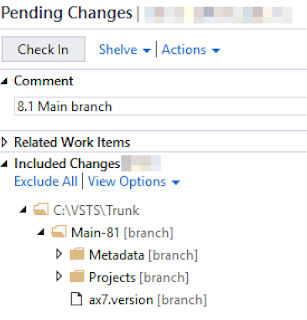 Any files added or removed will also be put in the list of pending changes to source control (VSTS). You cannot run them in one single operation, you need to run Prepare first, then commit the pending changes to VSTS. Then you run it again with the Install mode to change files. The prepare step takes less time, but it does take time. If you want to see what it is actually doing, the closest you get is having a look under your users Temp folder. It will extract the packages and the dependency manifest under C:\Users\USERNAME\AppData\Temp\SCDPBundleInstall. You will observe the tool is extracting each package, looking at the manifest of the package, and checking what files the package will change. As part of this process, it also ensures the change is added to "pending changes". When the tool is done, it removes the folder. When prepare is complete, you will have to open Visual Studio and commit the pending changes in order to "backup" the files to source control. Give this commit a good name, so you know it is related to preparing a hotfix bundle install. Starting Visual Studio will start IIS Express, and since you will close Visual Studio when your changes are committed, you will again have to ensure IIS is stopped before you run the install step. Remember, when Visual Studio is closed, IIS Express is normally stopped and IIS is started. This process can take a couple of seconds, so wait a few seconds before you continue with the install step. The install step takes the longest time, but also uses the same folder to extract and analyze the packages. 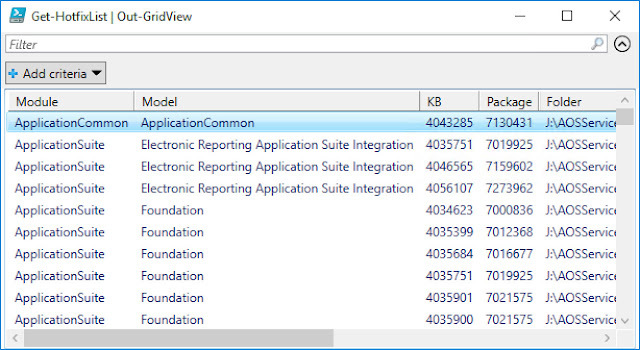 Before you go ahead and commit all the updates standard modules to VSTS from DEV, you will need to make sure it builds. Your customizations may be broken, and your overlayering may have new conflicts that needs to be resolved. 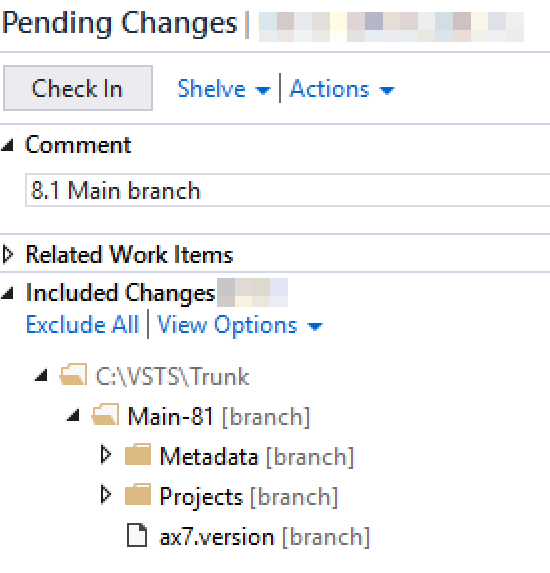 All of this must be handled before the application updates are put in source control (VSTS). 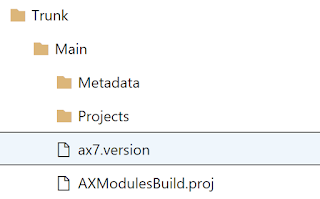 From there, you initiate the BUILD, take out the final artifact containing all the updated application modules (packages) and put it up in Asset Library. 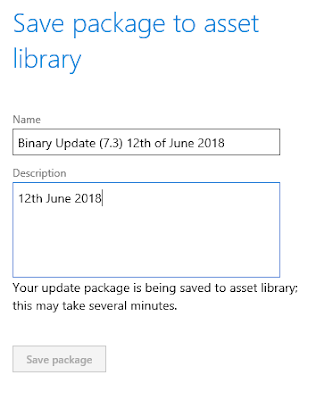 When you are ready to install in STAGE, start with the Binary Updates package in Asset Library, then install the Application Update package in Asset Library. I did run into some issues while doing this. All of which I had to resolve manually, and some were reported back to Microsoft Support. You might experience delays when applying the application updates due to limitations of how many transactions you are allowed to do against VSTS. These are delays, so it should only mean things takes longer. If you get errors while running the prepare or install, it might be something wrong with one of the packages, either due to invalid manifest or dependencies. I've only seen this a few times, and it is not expected. If that happens, contact Microsoft Support. Also be aware that if one module fails to build for whatever reason, all modules depending on that module will most likely also throw errors. So don't fall off your chair if you get a high number of compilation errors. It might just be one error, creating a chain or other errors. Solve that one error, and the other go away. Using the SCDPBundleInstall tool is documented on docs, but for your convenience I will share a little PowerShell script that helps you run the prepare and install step. If you see any errors or improvements, I am grateful for all feedback.